Basically this movie embodies wasted potential. There's a capable director and a number of wonderful actors, some with notable award winning accolades to their name, attached to this film, but it just doesn't manage toengage the audience. It looks great, but it doesn't feel so. If transgenders are looking for a movie that illustrates their long plight and continuing calls for understanding and acceptance for their cause, I fear this is not it. The strongest reason of its failure as such, is that it's simply too clean, too good looking. Though Eddie Redmayne looks androgynous enough to get away with playing both sexes effectively, his Einar's/Lili's long road from man to woman, though destined to end in tragedy, simply is too easy, certainly for the times we are dealing with. Yes, he's forced to leave his own country in search for a more accepting environment and yes, he's looked upon by medical minds as a freak of nature, sick in spirit and in desperate need of a gruesome cure, but the progresion of the movie doesn't live up to the many decades of violent misunderstanding if not downright cruelty inflicted on transgenders. Lili is surrounded by caring people who all too easily accept her plight and encourage her to do what she feels she should do, despite the danger this will place her in and the hardship it causes those closed to her, especially her loving wife who never signed up for this when they got married and who is finally enjoying some professional success. The scene with the physicians looking to operate on Lili with force to "cure" her woes is played more for laughs, though historically there's nothing funny about this sort of medicine which could be described as blatant torture. The only time Lili is physically confronted with her otherness is when she's beaten up on the street by two random hoodlums. Other than that, as transgender drama goes, this one is surprisingly happy. 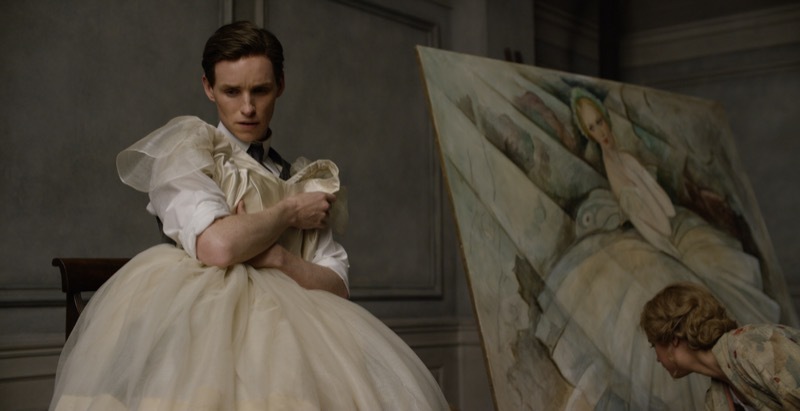 But despite these shortcomings, The Danish Girl has all the hallmarks of a solid period piece. It's capably directed, just not memorably so, unlike director Tom Hooper's own The King's Speech. Costume and set design is top notch, nobody will deny. The lead actors are at the top of their game and their Oscar nominations are well deserved (though I doubt they're good enough for a win), while the supporting cast is equally up to its task. But for all intents and purposes, it's not enough. Emotionally, The Danish Girl underwhelms, thanks to a script that plays it safe and doesn't feel like shocking the audience too strongly. Maybe it feels the notion of transgender struggles is risqué enough as it is for audiences? That would be rather offensive to the people it means to represent, who admittedly won't feel very much represented by it anyway.